Aren't you glad that this guy isn't aroudn anymore? I sure wouldn't want to run into him on the street. 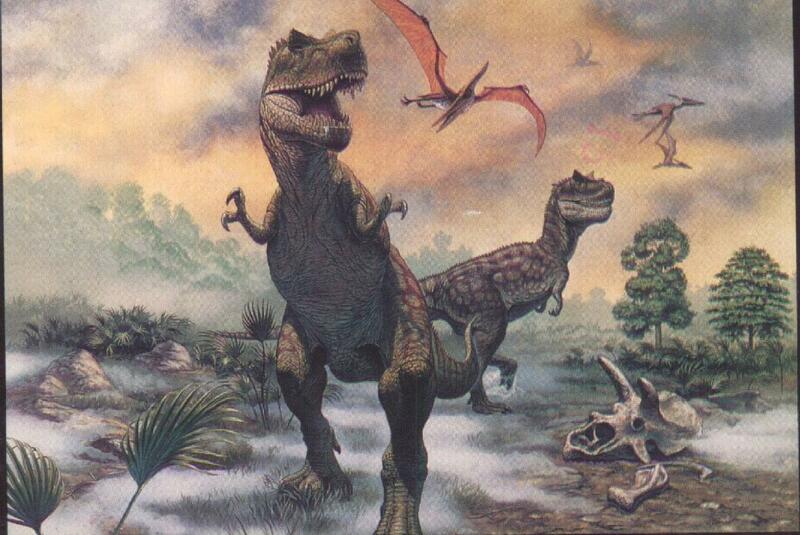 The post makes this more Dinosaur Comics fan art. Tyrannosaurus rex was the largest known carnivorous dinosaur, about 15' high, 45' long and weighting 7-8 tons. Stalking the coastal floodplains west of North America's Cretaceous inland sea 75 million years ago, these giants may have hunted cooperatively to bring down huge prey. A closely related form lived in east Asia. Every alternate word is written in invisible ink. 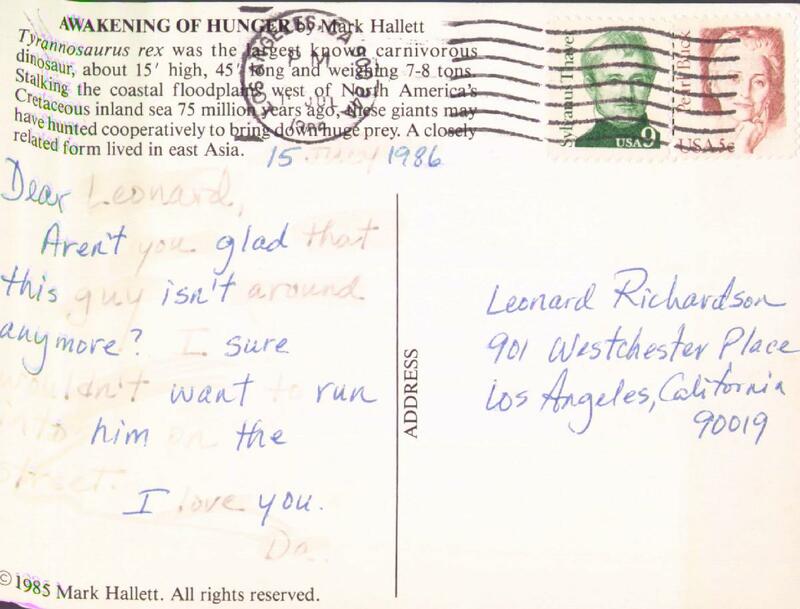 Postmarked from LA, so this was probably just my dad having some fun, not a postcard to keep me company while he was away.